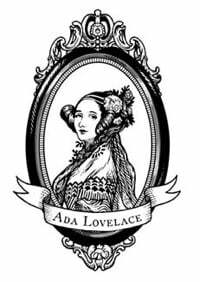 Helen Greiner #ALD14 @findingada « Adafruit Industries – Makers, hackers, artists, designers and engineers! 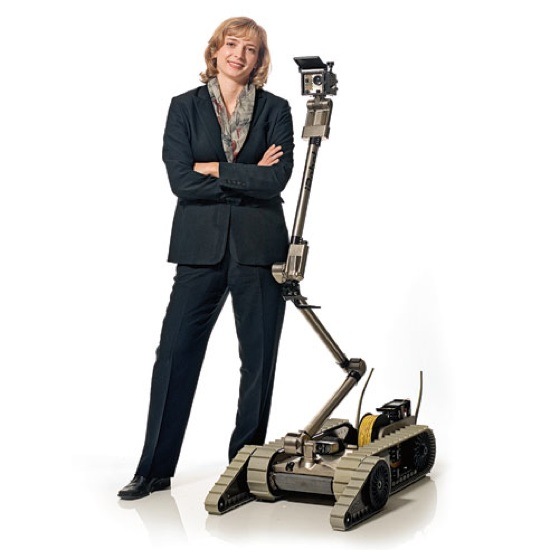 Helen Greiner is the cofounder of iRobot. Before Greiner graduated in 1989 with a bachelor’s degree in mechanical engineering she spent some time in Pasadena, California, interning at NASA’s Jet Propulsion Laboratory. Her job was to help design robots that would do repairs in space. Her interest was sparked enough that she developed designs for a space robot that could grasp objects more easily. The designs became part of her master’s thesis. In 1990, after earning an advanced degree in computer science, Greiner headed back to California to work at California Cybernetics, a company that made robots which helped in the manufacture of cars. Less than a year later she returned to the East Coast to form her own robot company with Brooks and Angle. Calling their company IS Robotics, the MIT partners set up shop in Angle’s apartment. Greiner was named president, Angle became the chief executive officer, and Brooks took on the role of chief technology officer. They started out building robots for university researchers at a cost of $3,000 each. Since they only sold about sixty per year, and the cost of parts was steep, the company barely broke even. The partners worked eighteen-hour days, writing their own computer codes and soldering parts, parts that were frequently built in MIT’s machine shop. Eventually they were able to hire a handful of other engineers, but they also recruited interns from MIT who were paid minimum wage. They were so dedicated to their vision that they put up all the manufacturing costs themselves, maxing out their credit cards and racking up over $100,000 in bank loans. Regardless of her success, Greiner’s main goal was still to break into the consumer market with something affordable and practical. The company’s first foray into the consumer market was definitely more affordable than the PackBot, which had a price tag of $45,000, but it was more fun than truly practical. In the late 1990s, iRobot partnered with the Hasbro toy company to develop a robotic doll. Engineers worked on the design for almost two years, equipping the doll’s skin with electronic sensors so that it giggled when its feet were tickled and smiled when it was held. The doll was also programmed to “learn” to speak. In 2002 iRobot introduced the product that finally put it firmly on the consumer map, a disc-shaped robotic vacuum cleaner called the Roomba. Engineers had been working on the design for twelve years. They also put in countless hours studying the science of floor-cleaning; iRoboters even spent one night at a Target department store to watch industrial cleaners at work. The result was a 5-pound, 13-inch-wide appliance that looks very much like a horseshoe crab. It runs on rechargeable batteries and propels around a room in wide circles, bouncing lightly off any obstacle it encounters. When it is finished, it stops, beeps, and turns itself off.